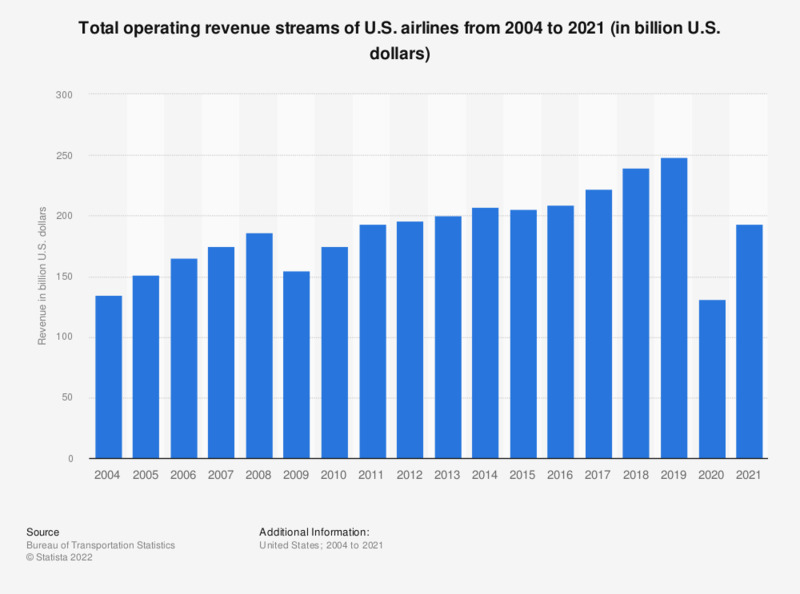 This statistic represents the total operating revenue streams of the U.S. airline industry between 2004 and 2017. The industry's total operating revenue came to approximately 222 billion U.S. dollars in 2017. The leading U.S. airlines, Southwest Airlines, generated operating revenue streams of over 21 billion U.S. dollars in that year. To retrieve data, please select "All U.S. Carriers" from the drop-down list and click "Operating Revenue".